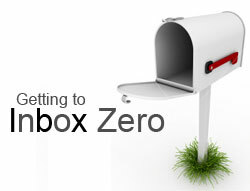 How To Get Your Email Inbox To ZERO! With the influx of emails these days, it is getting harder and harder to manage the massive amounts of email messages that we get. On the average day, I get hundreds of emails. I maintain 3 email accounts. My business email, my personal email and an account that I use to register stuff that I don’t really pay attention to. I carry an iPhone, and I have my laptop. I can get email wherever I am (and I do). The issue is how do I manage this email. How do I ensure that my clients are getting the answer and attention they need? The other issue, is that every week we are expected to have a minimal number of emails in our inbox, as the only emails in our inbox should be items that we are working on. I have decided to outline here, the process that I use for managing my email. 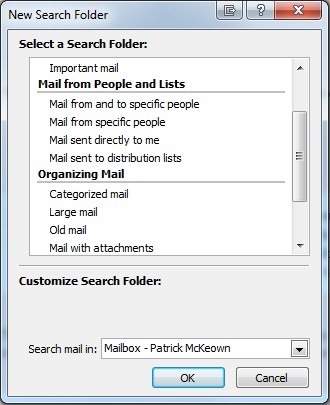 So based on a similar concept of the PIFEM email management concept put out a few years ago, and one that is used by many people that I have met years ago, I use Microsoft Outlook 2007. 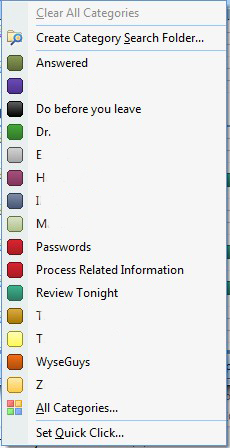 I utilize categories, search folders, and a concept similar to GTD (Getting Things Done). For me, the concept is simple. As I go through my emails, is this something that needs to be done right now, or can I do it right now without it taking more than 3 minutes? If so, then I go ahead and do it. Then I don't have to think about it later. Is this an item that needs to be accomplished by one of my colleagues? If so, forward it and get it out of my inbox. Will this take more than 3 minutes? If so, decide if it needs to be done before I leave the office, or if it can wait until this evening. I have two categories (keep reading) that I can assign this to. One category is 'Do Before You Leave'. I always view this category at 3:00pm and start working on the items in this section. The other category is “Review This Evening”, I will review anything in that category as I get time in the evening as it is generally just informational, and not actionable. And the final instance and by far my favorite. Ignore It. Is this something that is just an automated message, a cc mail that I don’t need to be involved in? If so, skim it and categorize it. What I do is I set the “Set Quick Click” option to automatically categorize as “Answered”. This way when I click on the categorize button it will automatically set the category to “answered”. If this is an item that is client related, then I right click on the category and choose the client associated with that email as well as either mark it with one of the “Deferred” categories, or I respond to it. So now I have all these categorized emails. What do I do with them? What about getting them out of your inbox? 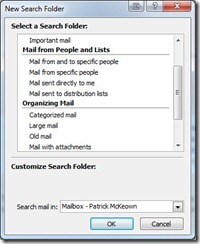 Well, Microsoft Outlook also has a concept called Search Folders. Search Folders can be based on Categories. What you can do is go to your 'Search Folders' and right click on it and say “New Search Folder”. This will bring up a dialogue box asking what kind of criteria you want for your search folder. Just select under the 'Organizing Mail' section, Categorized mail, and then select the category you want to set it as. It is as simple as that. Now all the emails you have categorized are automatically found in this folder as well as wherever you move them too! 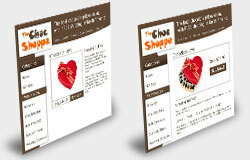 Tthe final phase to this (remember I said we need to empty our inbox). Is to utilize the Rules Wizard. Just create a rule where any email marked with x category is moved to the folder titled Reviewed. I run this rule every day before I leave the office so I know when I come in the next day that all the emails in my inbox are fresh emails that I need to start that process all over again with. If you haven’t been following this process, it can take some time to set up, but once it is, it will save you lots of time! And when you create a new category, just remember to create a new search folder and you will be able to stay on top of it without any issues! This is just my way of doing things to make work life more manageable. You may have your own way — but if you don't then you better start considering ways to get yourself more organized! It's essential in this fast paced world! As an afterthought, I think this is really a good way to organize your mail box and priortise the information out there so that you are feeling good at the end of the day. I think every company – however large or small are they, should definitely have this as a part of their office routine. Proper Email Management helps to organize mails better using filter options, creating rules, prioritizing mails, deleting spam and unwanted mails etc. It does help us to save time, reply promptly and get things done faster. Thanks Patrick for helping us to make our inbox ZERO ! Inbox to ZERO… now that would be pure pleasure. This is cool. Well thought out and clear. It really seems do able. Im just to lazy or human to be so consistent. Maybe my mind just isnt wired that way. IMHO – this might be one of those failing in myself that I cannot change? Thanks for the highly useful handy tips Patrick. 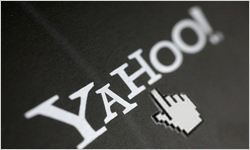 Managing email accounts (especially if having more than one account) is a task. I liked your way of organizing multiple emails accounts. Think I will follow it.